Spotify is a well-known place for unlimited music online. With a collection of over 35 million songs, it has become the leader in this field. All the Spotify users can play the music available on Spotify easily but within the app. So, if you don’t have access to the internet, you cannot play the Spotify songs. Doesn’t matter whether you have free or paid account of Spotify, all the songs are DRM protected, means they cannot be played on any other audio player. So, when you are facing this problem, Audfree Spotify Music Converter can help you in this. It is a DRM removal tool. As we know Spotify songs are DRM protected and that is why they cannot be played with any of the audio players. 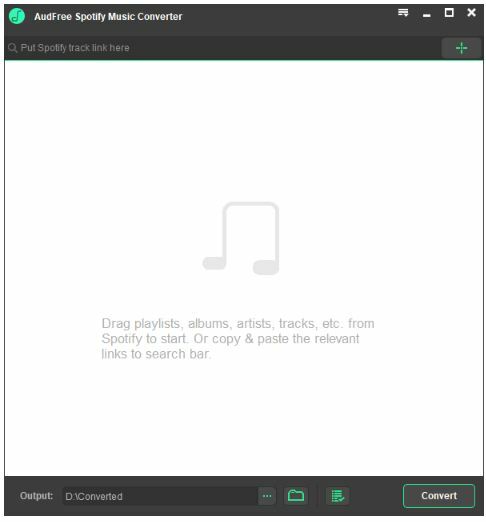 But, this Spotify converter can convert all the Spotify content for you so that you can listen to that whenever you want whether you are connected to the internet or not. So, giving Audfree Spotify Music Converter a try is not a bad idea at all. It removes the DRM Protection so that you can play the Spotify content on any device or on any audio player. The converting speed is very fast so no time is wasted while converting. When you choose any song or playlist to convert, you can convert that in various famous formats that most of the devices support. Along with this, you can also make some changes in sample rate, channel and bit rate that can help you to improve the quality of the tracks. Converted content maintains the original quality. There is no loss of quality at all. It keeps the original tags, metadata, artist name and album names etc. so that it can be easy for you to find the desired song. 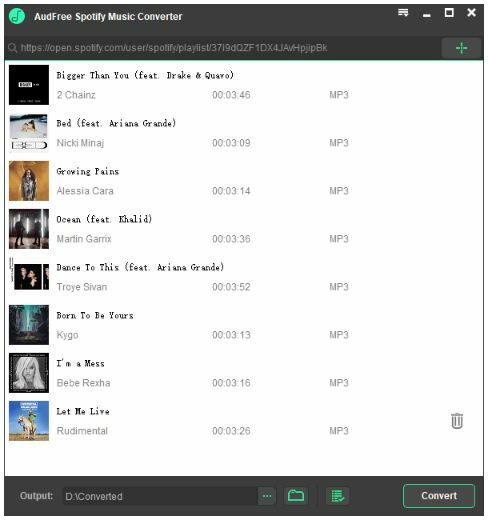 Moreover, Audfree Spotify music converter also classifies the songs for you automatically. All the songs that are from the same album or are from a particular artist are classified easily. You don’t need to pay anything whenever there is a new upgrade. How to Use Audfree Music Converter? Now, import the Spotify Songs or Playlists. 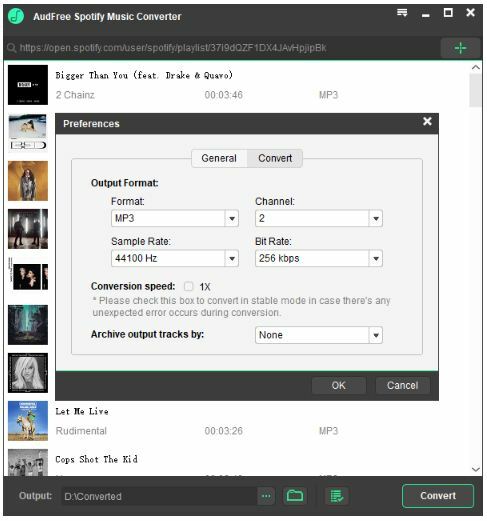 You can simply drag and drop the tracks or you can copy the link of the song or playlist and then paste it in the search box of Audfree converter. After that, click on “+” icon. By default, the MP3 format is selected. If you want to change that, just find the “Preferences” from the menu bar and click on it. There you can select from the various format like MP3, M4A, FLAC, AAC, M4B, and WAV. On the same screen, you can also find some other options like sample rate, bit rate, and channel etc. You can make the changes in them too for better quality. When everything is done, just click on the “Convert” button and the converting process will start and within a few minutes, your files will be converted. You can find them in the destination folder. Now, you are all set to play the converted files on any device. 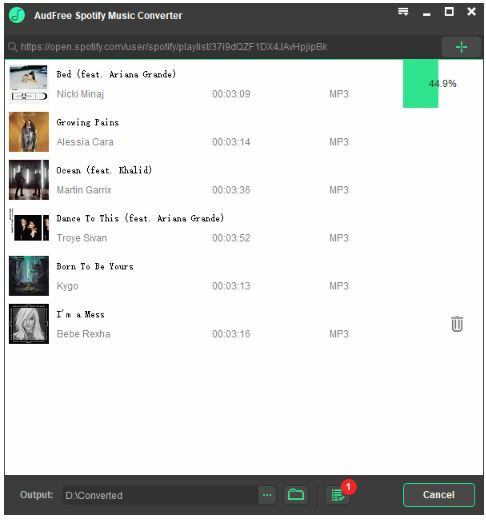 How to Download Audfree Spotify Music Converter? You can download it from the above-mentioned links or you can directly go to the official website of Audfree. So, to enjoy Spotify Music on any device, just download the Audfree Spotify Music Converter from the links mentioned above and start using it. Remember that, your device must have the configurations listed so that this software can run smoothly. Things to be kept in Mind While Choosing a Financial Advisor.